Where can you stream The X-Files? On 1993-09-10 Drama/Mystery TV Series The X-Files first aired on FOX. 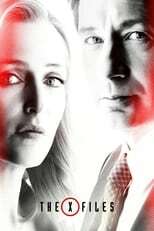 Written and created by Chris Carter, and produced by Ten Thirteen Productions & Fox Productions, The X-Files has ended and last broadcasted on 2018-03-21.